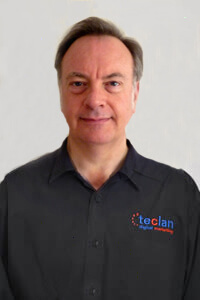 At teclan we’re a practical, down-to-earth bunch with a wealth of experience and one common goal driving us – to use our expertise in digital marketing to help your business achieve its aims. 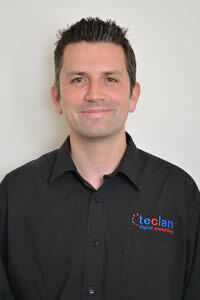 For over 15 years, teclan’s Managing Director Fergus has lead the growth and development of the business into one of Scotland's leading Digtial Marketing Agencies. He started his working life in retail, rapidly making his way up to management level with one of the UK’s largest retail companies. 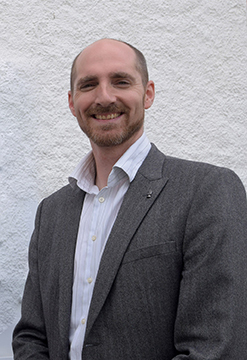 He also has direct sales and marketing experience in both on-line and off-line print advertising, gained whilst working for one of Scotland’s leading newspaper groups. He has been developing, programming and working with everything digital and e-commerce for over 22 years. He can be found regularly commuting by bike, home baking, brewing and playing guitar in a few bands in and around the Highlands of Scotland. Flora has over 15 years managerial experience with BT, Sky TV and DWP. Initially starting her career in veterinary nursing, she moved towards IT and Digital Marketing. 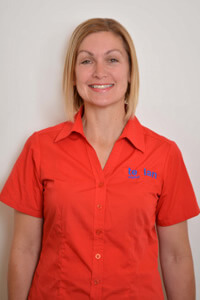 In her time at teclan, she has become a certified Google Partner and liaises with customers to get the best strategy for their return on investment across all channels of marketing. 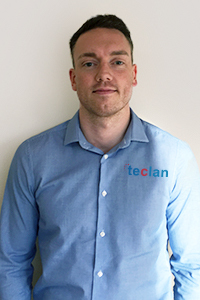 Richard has worked in the retail and telecommunications sector for over ten years and during this time won numerous awards for project management and customer service. He is also a Google Certified Partner and a Bing Accredited Professional, which further improves the value of the PPC service he can provide. Our head web designer Rory has been crafting websites for businesses of all sizes for more than 17 years and is a graduate of the University of Edinburgh with an MA(Hons) in English Language & Literature. Rory works on delivering great web and email experiences for all our design and marketing clients. retail Head Offices. 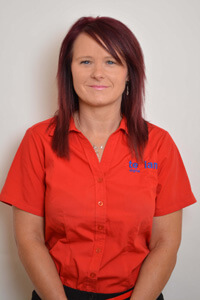 As well as providing valuable support and assistance to our customers, Jackie looks after the Accounts at teclan. Adrian began his working career with the print media industry in Australia, and over 35 years has written and produced marketing campaigns for both local and national advertisers. His experience includes running a marketing and graphic design business, along with extraordinary copy writing and proofing skills. 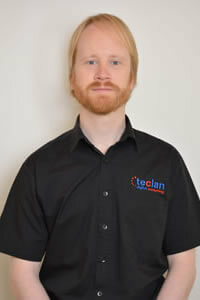 Stephen has a BSc in Computing from Moray College UHI and has worked in web development and software development since 2010. 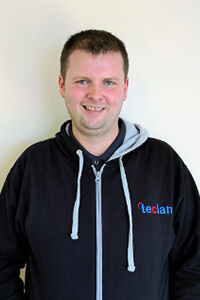 Alongside his digital marketing work, Stephen looks after the technical side of things at teclan including hosting, security and web development. Stephen is certified in Google Adwords and Google Shopping. Liam has a BA (Hons) in Computer Arts and has worked variously in different roles within the computer games industry including Director of Art and Marketing. 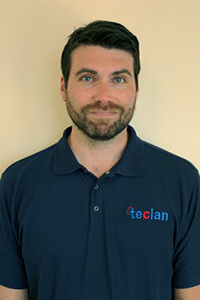 Multi-lingual Liam brings a diverse skillset to the teclan digital marketing team including web and graphic design, animation, 3D modelling and much more. With over 20 years experience in management roles from retail to hospitality, Debs brings her skills to bear running and managing teclan’s very own business centre building at Tore. She likes to dog walk and enjoys running. Jordan has a BA (Hons) degree in Marketing & Journalism from the University of Huddersfield. He has worked in various roles from insurance policy adjustments to even acting in films. Apart from overlooking client's PPC accounts and Social Media you can also see his quality work in copy writing. 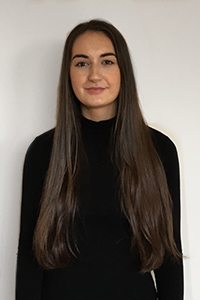 Jessica is currently studying for a BA (Hons) Business and Management with Digital Communications. 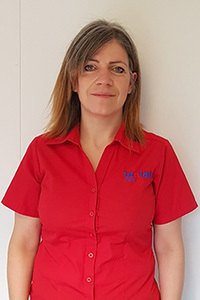 She has many years experience in customer facing roles and joined the teclan team after completing a work placement through her university studies. You will find Jessica creating and managing engaging social media content.